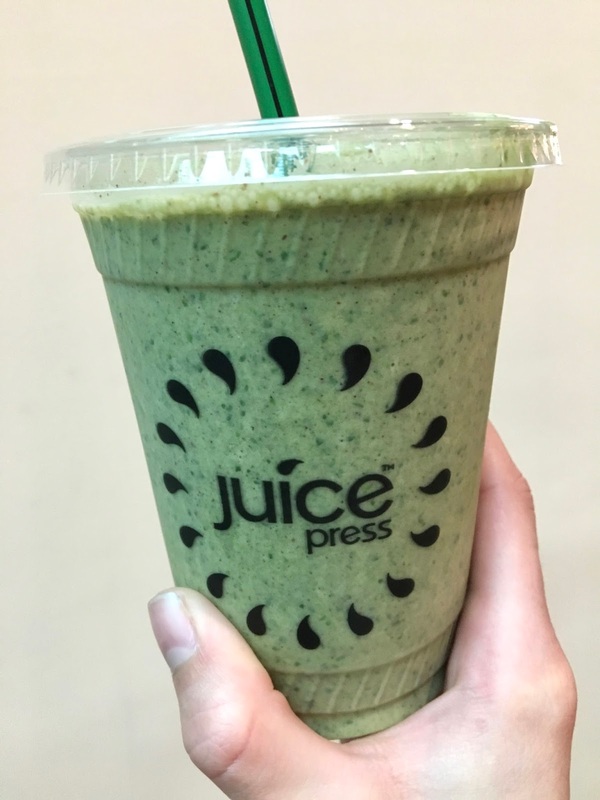 Juice Press believes in using real ingredients, which means that they strive for organic, nutrient-dense, plant-based foods. That certainly makes finding dairy-free options simple! Gluten is also easy to avoid because 99% of the menu is gluten-free. After some deliberation, I decided to order the clean green protein smoothie, which features banana, almond butter, spinach, kale, banana, hemp protein, chia seeds, coconut nectar, and almond milk. The smoothie is raw and USDA organic. I really liked the flavor of this smoothie, it was the dates and bananas teamed up for a perfect sweetness that was accented by notes of nuttiness from the almond butter and milk. With only 23 grams of sugar, I liked that it was not overly sweet, and the 16 grams of protein and 20 grams of fiber certainly went a long way in keeping me full and happy as this was a early morning meal that had to last well into the afternoon. My only complaint was that the consistency was a bit "off" and was more chunky than smooth- but this was only a minor complaint. I love that the ingredients were simple and transparent- far better than a sugar-only smoothie or mystery protein shake. 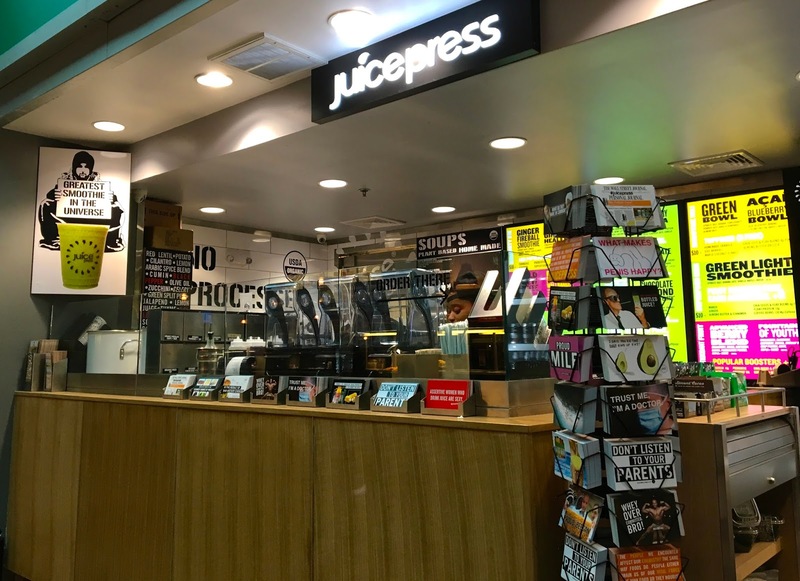 Juice Press is sorely needed in Union Station and I am so glad they have settled in nicely. I know it'll be hard to pass through without stopping for a smoothie or acai bowl, and it's refreshing to have a whole stand full of healthy options to choose from. While $10 is on the upper end of smoothie prices, it's par for the course in DC, and I don't mind paying extra to know what's in my food and have it taste good too. Beyond their menu of smoothie, juice, and bowl options, Juice Press also has a ton of healthy snacks for sale, including dried fruit, bars, and nuts, which are always handy when on the go. With hours ranging from morning to night, definitely keep Juice Press on your travel radar.